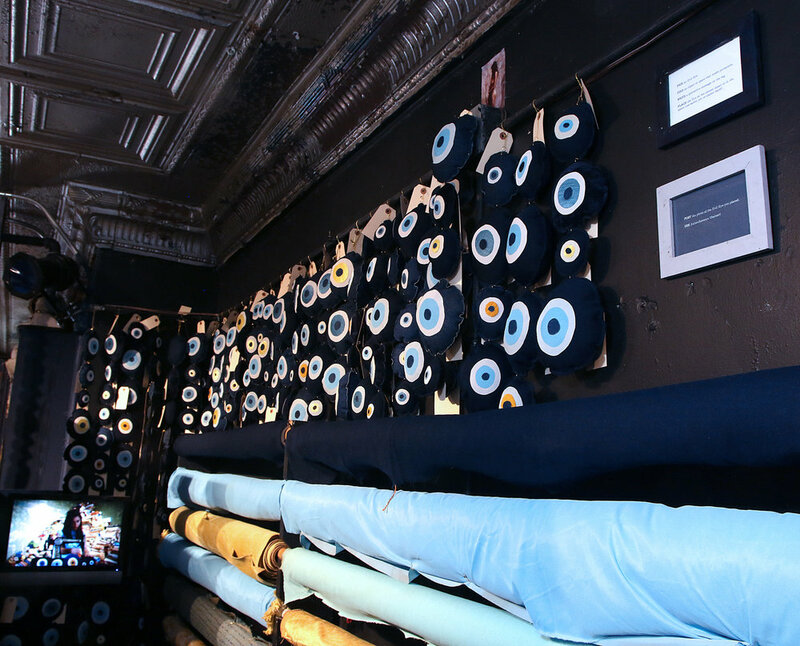 Your Haint Blue is My Evil Eye is an interactive fiber and video installation that explores personal relationships with material objects and the cultural comparisons of the Middle East and the US South. By drawing parallels between these regions, I combine traditional folkloric practices with my heritage and status as an immigrant in the US. 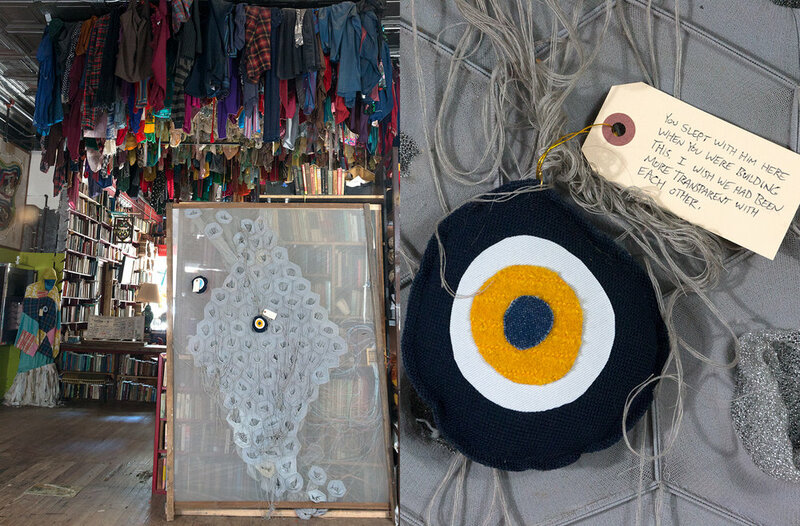 Through the fabrication of over +130 soft sculpture talismans, I stitch together symbols of protection: the Southern use of “haint blue” paint and the Middle Eastern “evil eye” amulet. 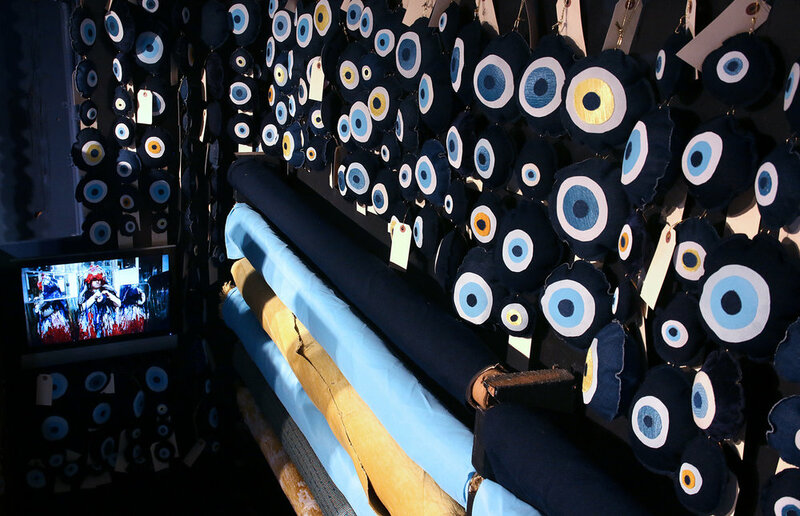 Participants are invited to pick an evil eye and place it in a chosen space or object in the museum that needs protection, with a written note detailing their choice. Your Haint Blue is My Evil Eye prompts protection of the most precious and fragile parts of the museum while cataloguing personal relationships with things. The accompanying video within the installation interweaves scenes documenting the making of the evil eyes that mimic unpaid, domestic labor associated with women and a female shaman figure who performs overlapping customs from the East and South.